I am very happy with the repair kit. The youtube video showed just what to do. My speakers are now as good as they ever were. This repair kit saved me a ton of money. 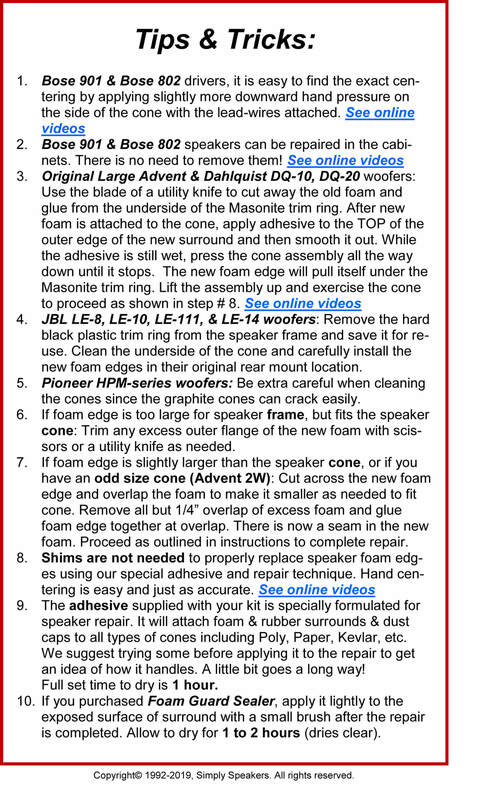 The foam replacement for the Boston Acoustic speakers included the special cement. I was able to repair 2 speakers whose woofers had lost their foam mounting over time. The 25.00 price seems a little high for small pieces of foam and cement but it did allow me to resurrect speakers that would cost 300.00 to buy new. The repair took about 15 minutes (not allowing for the glue to dry) and results were perfect. My Boston Acoustics HD3s are back to tip top form and the Hotel Rindge is enjoying every minute. TURN IT UP!!!! 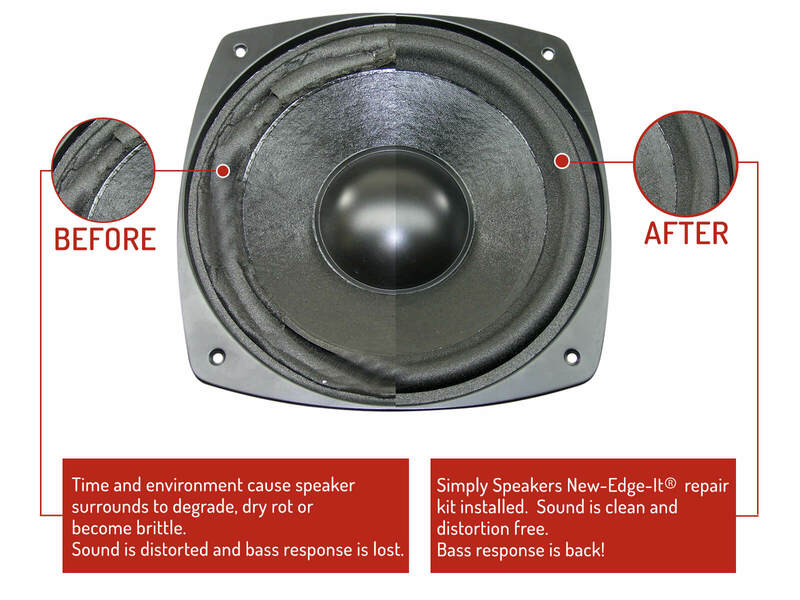 Great product, easy to install and my speakers sound like new again. Would definitely buy again if and when needed. Refoam kit worked great. First time doing it & easy to install. Speakers are back in service. 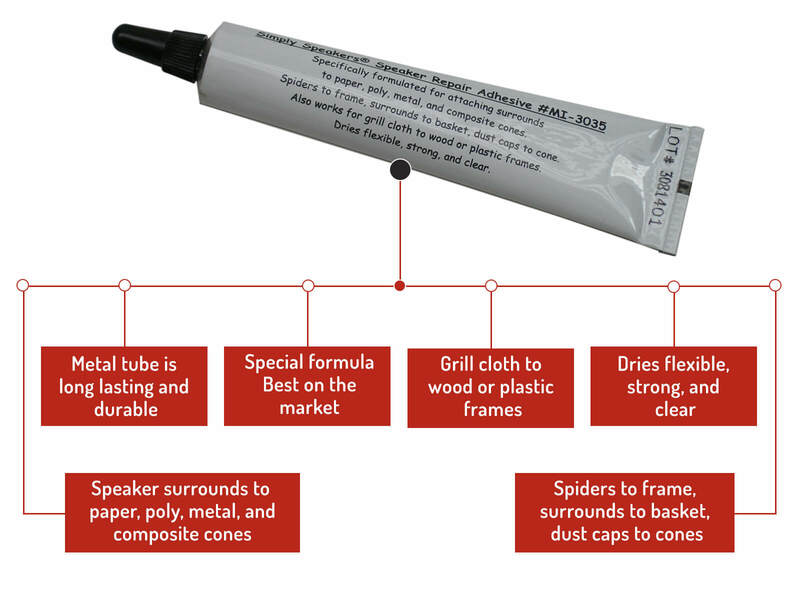 Easy to do with patience, glue consistency can be a little tricky but the results are worth it. 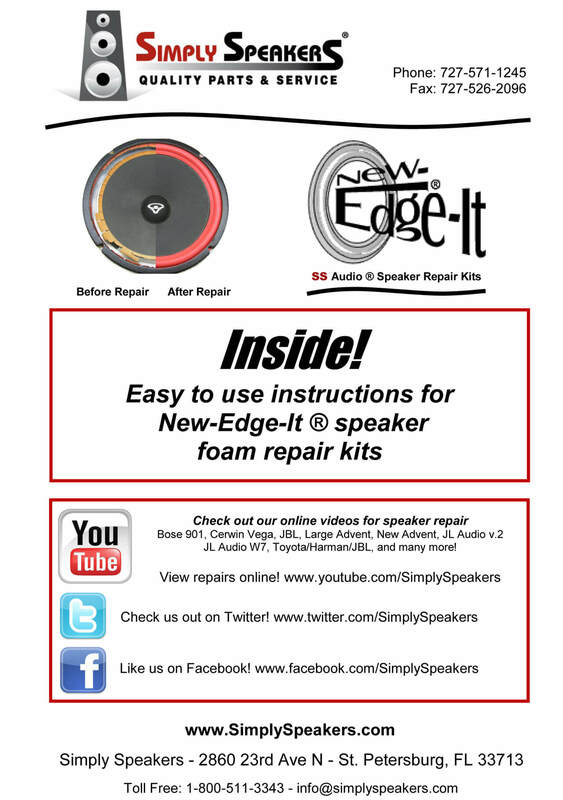 Don't hesitate to bring your speakers back to life with this kit! Fit perfectly on my Boston Acoustic speaker, very easy fix! Between the great instructions and YouTube, the operation was a great success. Good prep is the key, found that Goo Gone worked well to remove old glue. Reconnected speaker, gradually increased volume and patted myself on the back! Worked exactly as advertised and as i saw on youtube.. very happy with the results. 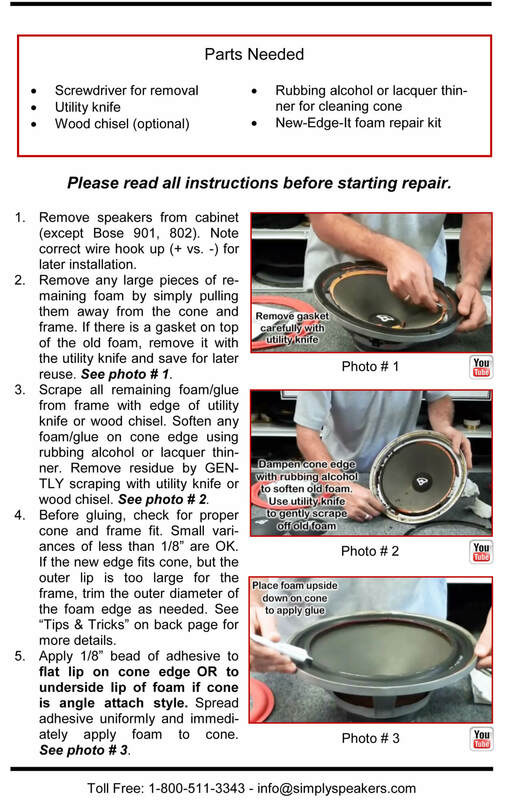 Q: Can this kit be used to repair a BA790 5.25" subwoofer P/N 304-130003-00? Q: Sorry for 2nd question, similar subject (THANKS for 1st ?, your answer was very helpful). What repair kit should I order to replace my Boston Acoustics Model 350: the FSK-5.25 Foam Kit OR the RSK-5.25 Rubber Kit? My current BA Model 350's have a Foam edge, so I assume I order the Foam FSK-5.25 Kit ---- which I assume will fit my BA Model 350's even though this model number is not listed in the 'product name' like the rubber kit. Again, THANKS for your answers. A: Yes. Either kit will work. They are the same dimensions. 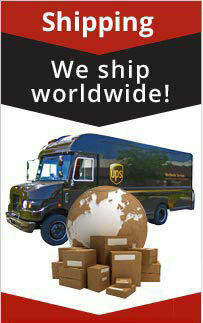 Rubber lasts longer, but is also heavier so it will reduce efficiency a bit. That is normally not an issue. Q: How is this kit different from FSK-528 and which one should I use for Boston Acoustic HD5 fix? A: The FSK-5.25 is not a "filled fillet" surround, and as such, the inner lip to roll of the foam is not filled in. Either kit will work, but the FSK-528 is the technically correct kit for the Boston HD5. Q: Is this the recommended kit for BA C 700 or is a rubber kit better? A: The original is foam, but the rubber kit part # RSK-5.25 will also work. 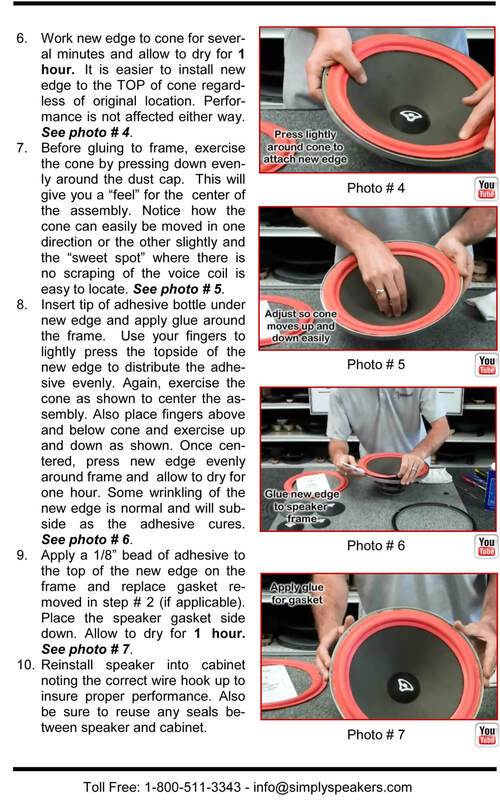 Rubber is longer lasting, but a bit heavier so it will reduce bass efficiency a bit. Q: Will these fit the Boston Acoustics HD5? 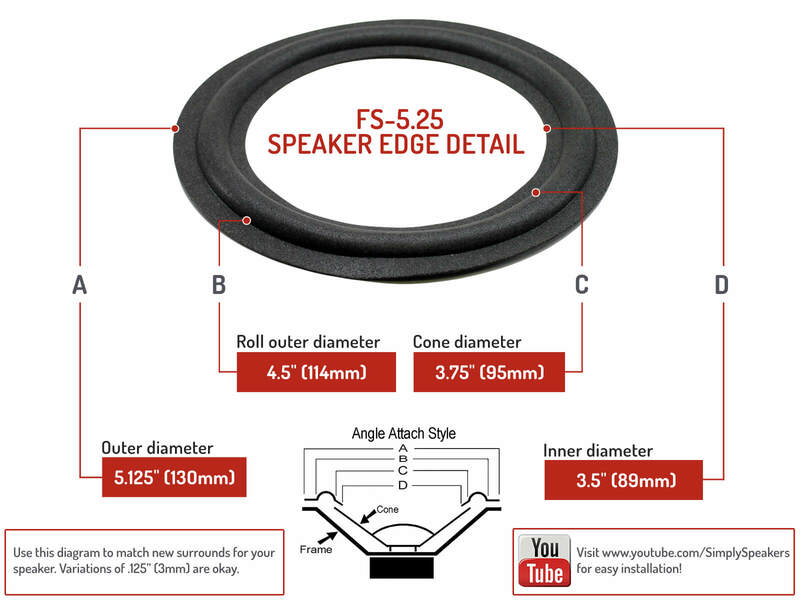 A: This kit will work, but we recommend the BA-FSK-528 for the HD5 woofers. Q: I have Boston Acoustic 350 2 way 4ohms XG042985 in ceiling speakers. Is this the correct kit for the foam or the one with rubber edges? A: Thanks. Either kit will work. 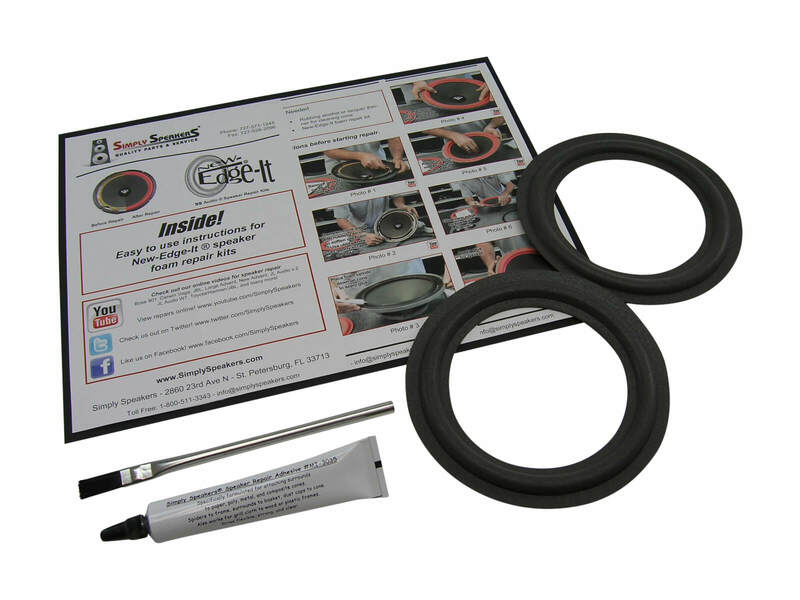 Use foam kit # FSK-5.25 or rubber edge kit # RSK-5.25. Boston Acoustics: 350, 5.4 LF, 5.5LF, 525V, 757, 504V, 750LF, 850LF, C-700, C700, Voyager Pro, and many more!